The organised labour in Ekiti State has declared today, a work-free day in the state as a mark of solidarity with Governor Ayodele Fayose on his victory at the Supreme Court. The apex court re-validated the victory of the state governor, Mr Ayo Fayose, in the June 21, 2014 governorship election in the state. The Ekiti unions made the declaration yesterday in Ado Ekiti during a peaceful procession by their members as a mark of solidarity with the governor over his Supreme Court victory. The organised labour, comprising the Nigeria Labour Congress, Trade Union Congress and Joint Negotiating Council had massed at the popular Fajuyi Park Resort centre , where they declared today, Friday, a work-free day for workers of the state civil service. Speaking through the Chairman of the NLC, Comrade Ayodeji Aluko, after their rally, the unionists warned politicians in the state against heating up the polity, lamenting that the breach of public peace had also been coming from a few elites and certain political group who sees Ekiti governorship as their sole right. The NLC boss who frowned on the attempt by 19 APC lawmakers to impeach Fayose, lamented the sporadic shootings noticed at the House of Assembly a couple of weeks ago , when members of the PDP had to occupy the Assembly to forestall Fayose from being impeached, saying his members would have been killed, but for providence. ‘“As critical stake holders, we deem it fit to make a clarion call to all Ekiti indigenes home and in the diaspora to project the need for peace and stability in our State. We want to implore our politicians to embrace the true precepts of democratic practices by imbibing the principles of sportsmanship. “While making this call, the organized labour , wish to warn those who have been induced to compromise the stability of Ekiti State and those who continue to malign our image as a people to desist from doing so. “We wish to affirm our confidence in the judiciary and commend the third arm of government for living up to its role as the last hope ofthe common man. “ We pledge our support once again for Governor Fayose and urge him to continue to do things that have placed him on a pedestal of recognition,” he said. 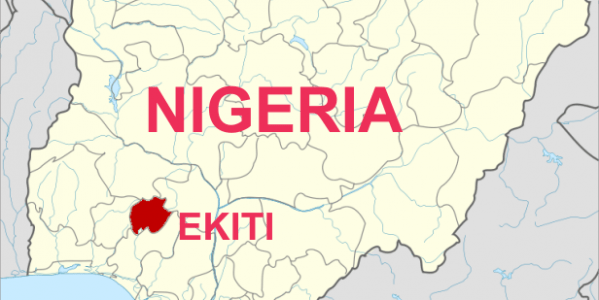 Aluko further noted the consistent restiveness being witnessed in Ekiti could be ascribed to political intolerance on the part of the political gladiators. Fact Checker: Is Boko Haram ‘technically defeated’?